Breaking - Thorsten Heines new President and CEO of RIM | BlackBerry Blast! Big news today for RIM. The CO-CEOs and founders are out, although still on the board. Is this the new shot in the arm the company needs? Let's hope so. Interesting that they would announce this on Sunday, but here's the press release. Waterloo, ON � The Board of Directors of BlackBerry� maker Research In Motion (RIM) (NASDAQ: RIMM; TSX: RIM) today announced that, acting on the recommendation of its Co-Chief Executive Officers to implement the succession plan they previously submitted to the Board, it has unanimously named Thorsten Heins as President and Chief Executive Officer. Mr. Heins was also appointed to RIM�s Board. The Board acted after conducting its own due diligence. Both appointments are effective immediately. Mike Lazaridis, former Co-Chair and Co-CEO, has become Vice Chair of RIM�s Board and Chair of the Board�s new Innovation Committee. As Vice Chair, he will work closely with Mr. Heins to offer strategic counsel, provide a smooth transition and continue to promote the BlackBerry brand worldwide. Mr. Heins said he believes that RIM has tremendous potential. He joined RIM from Siemens Communications Group in December 2007 as Senior Vice President for Hardware Engineering and became Chief Operating Officer for Product and Sales in August 2011. Mr. Heins said that RIM has grown quickly. �As with any company that has grown as fast as we have, there have been inevitable growing pains,� he said. �We have learned from those challenges and, I believe, we have and will become a stronger company as a result. Barbara Stymiest, who formerly served as a member of Royal Bank of Canada�s Group Executive and has been a member of RIM�s Board since 2007, has been named the independent Board Chair. John Richardson, formerly Lead Director, will remain on the Board. Prem Watsa, Chief Executive Officer of Fairfax Financial Holdings, also was named to the Board, expanding it to 11 members. Ms. Stymiest also expressed the Board�s respect and admiration for Messrs. Lazaridis and Balsillie, the company they built, and the steps they have taken to position RIM for the future. A conference call and live webcast will be held beginning at 8 am ET, January 23, 2012, which can be accessed by dialing 1-800-814-4859 (North America), (+1)416-644-3414 (outside North America) or through your personal computer or BlackBerry� PlayBook� tablet at www.rim.com/investors/events/index.shtml. A replay of the conference call will also be available at approximately 10 am ET by dialing (+1)416-640-1917 and entering passcode 4509630#. A replay of the webcast will be available on your personal computer or BlackBerry PlayBook tablet by clicking the link above. This replay will be available until midnight ET, February 6, 2012. 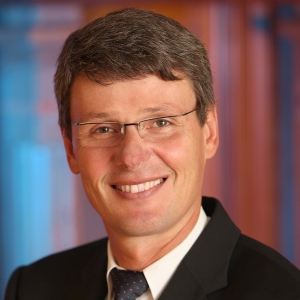 Thorsten Heins, 54, is a respected business leader with 27 years of broad experience and expertise in wireless networks and consumer electronics devices. Mr. Heins has a global reputation for his organizational and leadership skills and his ability to build successful organizations that deliver on their commitments. Prior to today�s announcement, Mr. Heins was one of RIM�s two Chief Operating Officers and, before that, Senior Vice President for the Handheld Business Unit. He played key roles in the creation of RIM�s product portfolio. Mr. Heins came to RIM in December 2007 from the industrial conglomerate Siemens AG. He joined Siemens in 1984 after graduating from the University of Hannover in his native Germany. At Siemens, Mr. Heins rose through the ranks of R&D customer service, sales and product management positions. After serving as Chief Executive Officer of various business divisions in the communication business, Mr. Heins moved to Chief Technology Officer and member of the Group Board of the Siemens Communications Group. He came to RIM after being impressed by the level of innovation displayed by founders Mike Lazaridis and Jim Balsillie. Mr. Heins is married with a daughter and a son. Away from RIM, he is usually outdoors bicycling, motorcycling, skiing or hiking. Barbara Stymiest has served as a director of RIM since March 2007. She has an HBA from the Richard Ivey School of Business, University of Western Ontario, and an FCA from the Institute of Chartered Accountants of Ontario. Ms. Stymiest joined Royal Bank of Canada in 2004, where she served as a member of RBC�s Group Executive, which is responsible for the overall strategic direction of the company. Prior to that, she held positions as Chief Executive Officer at TSX Group Inc., Executive Vice-President and Chief Financial Officer at BMO Nesbitt Burns and Partner of Ernst & Young LLP. Ms. Stymiest is currently a Director of George Weston Limited, Toronto Rehabilitation Institute, the Canadian Institute for Advanced Research, the Royal Ontario Museum. Prem Watsa is the Chairman of the Board of Directors and the Chief Executive Officer of Fairfax Financial Holdings Limited, a financial services holding company whose corporate objective is to achieve a high rate of return on invested capital and build long-term shareholder value, since 1985. He is also Vice President of Hamblin Watsa Investment Counsel Ltd. since 1985. Mr. Watsa formerly served as Vice President of GW Asset Management from 1983 to 1984 and in various positions, ultimately as a Vice President, with Confederation Life Investment Counsel from 1974 to 1983. Research In Motion (RIM), a global leader in wireless innovation, revolutionized the mobile industry with the introduction of the BlackBerry� solution in 1999. Today, BlackBerry products and services are used by millions of customers around the world to stay connected to the people and content that matter most throughout their day. Founded in 1984 and based in Waterloo, Ontario, RIM operates offices in North America, Europe, Asia Pacific and Latin America. RIM is listed on the NASDAQ Stock Market (NASDAQ: RIMM) and the Toronto Stock Exchange (TSX: RIM). For more information, visit www.RIM.com or www.BlackBerry.com. This news release contains forward-looking statements within the meaning of the U.S. Private Securities Litigation Reform Act of 1995 and Canadian securities laws, including: statements relating to the new role of RIM�s Vice Chair and its new Innovation Committee; the anticipated timing of the launches of BlackBerry PlayBook OS 2.0 software and BlackBerry 10; Mr. Lazaridis� intention to purchase additional RIM shares, as permitted, in the open market; RIM�s plans, strategies and expectations going forward; RIM�s intention to recruit a new Chief Marketing Officer; and the anticipated benefits of the Company�s efforts. The terms and phrases �will�, �continue�, �innovating�, �look forward�, �shipping�, �expected�, �entering a new phase�, �committed�, �intend�, �take the company forward�, �potential�, �transformation�, �build�, �expand�, �going forward�, �in the process� and similar terms and phrases are intended to identify these forward-looking statements. Forward-looking statements are based on estimates and assumptions made by RIM in light of its experience and its perception of historical trends, current conditions and expected future developments, as well as other factors that RIM believes are appropriate in the circumstances, including but not limited to general economic conditions, product pricing levels and competitive intensity, supply constraints, new product introductions, RIM�s expectations regarding its business, strategy and prospects, RIM�s confidence in the cash flow generation of its business, and applicable regulatory requirements and RIM policies relating to purchases of RIM securities. Many factors could cause RIM�s actual results, performance or achievements to differ materially from those expressed or implied by the forward-looking statements, including, without limitation: risks relating to RIM�s intellectual property rights; RIM�s ability to enhance current products and develop new products and services in a timely manner at competitive prices; risks related to delays in new product introductions, including the BlackBerry PlayBook OS 2.0 software and BlackBerry 10; risks related to intense competition, including RIM�s ability to compete in the tablet market; RIM�s ability to manage inventory and asset risk, including its ability to manage BlackBerry PlayBook tablet sell-through programs; risks relating to network disruptions and other business interruptions, including costs, potential liabilities, lost revenue and reputational damage associated with service disruptions; RIM�s ability to realize the anticipated benefits of its cost optimization program and Cost Optimization and Resource Efficiency program; RIM�s reliance on carrier partners, third-party manufacturers, third-party network developers and suppliers, including the suppliers RIM has selected for its BlackBerry 10 smartphones; security risks and risks related to the collection, storage, transmission, use and disclosure of user and personal information; RIM�s ability to successfully maintain and enhance its brand; RIM�s reliance on key personnel; potential charges relating to the impairment of goodwill or other intangible assets on RIM�s balance sheet; RIM�s ability to expand and enhance BlackBerry App World; risks related to third party manufacturers and RIM�s ability to manage its production processes; risks related to RIM�s international operations; risks related to encryption technology; potential defects in RIM�s products; RIM�s ability to manage growth; and difficulties in forecasting RIM�s financial results, particularly over longer periods given the rapid technological changes, evolving industry standards, intense competition and short product life cycles that characterize the wireless communications industry. These risk factors and others relating to RIM are discussed in greater detail in the �Risk Factors� section of RIM�s Annual Information Form, which is included in its Annual Report on Form 40-F and the �Cautionary Note Regarding Forward-Looking Statements� section of RIM�s MD&A (copies of which filings may be obtained at www.sedar.com or www.sec.gov). These factors should be considered carefully, and readers should not place undue reliance on RIM�s forward-looking statements. RIM has no intention and undertakes no obligation to update or revise any forward-looking statements, whether as a result of new information, future events or otherwise, except as required by law.